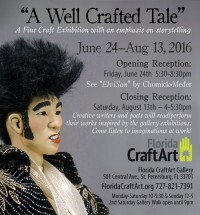 On Saturday, August 13th, we attended the closing reception of “A Well Crafted Tale” at Florida CraftArt, sponsored by AARP Life Reimagined campaign. Appropriately, the theme of the exhibit was storytelling, artists submitted artwork for 14 creative writers from Keep St. Pete Lit and local poets to create original written works inspired by the exhibit. 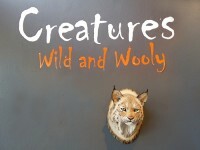 We were participating in “A Well Crafted Tale” but did not have the opportunity to attend the show so were looking forward to seeing, and hearing the artistic creations. A few writers had chosen the same piece to write about, it was interesting to witness such diverse interpretation of the same subject. 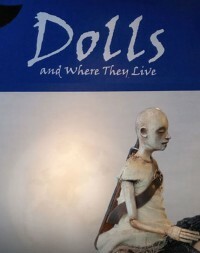 Each stood next to the chosen artwork as they read aloud their poetry and stories – intricate, humorous and touching. 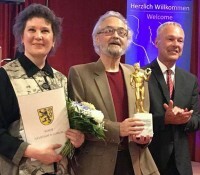 All were wonderful to hear, and we were fortunate to have St. Petersburg’s Poet Laureate Helen Pruitt Wallace and Florida’s Poet Laureate Peter Meinke participate in the event. Creatives generally live and associate with our ‘own kind’ so we often do not realize how much the art disciplines overlap and subconsciously influence each others work. 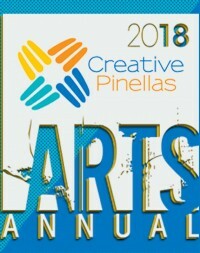 It was also a bittersweet evening as we learned Florida CraftArt Executive Director, Diane Shelly, is moving on to the position of Adult Education Director at Dunedin Fine Arts Center. 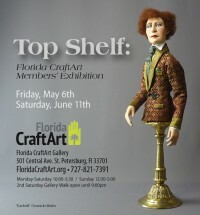 We will miss seeing her in the Florida CraftArt Gallery but Diane has been a great promoter of artists and will continue be an influence in the arts community. We only want the best for such an amazing lady! 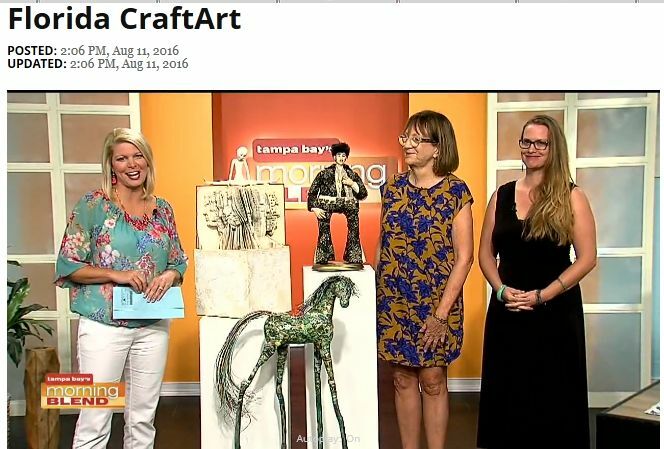 During the reception Diane informed us our “ElviSan” figure was one of the three pieces featured in WFTS-TV Tampa Bay’s Morning Blend segment promoting the Florida CraftArt “A Well Crafted Tale” Closing Reception – we are pleased and honored to be included.